American funk group from Jersey City, New Jersey, formed in early 1970s. 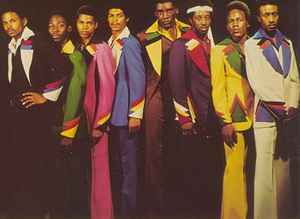 Featuring Kevin Bell, initially they were Kool And The Gang protégés, produced by Kevin’s older brother Ronald Bell for Gang Records. In 1976 they moved to De-Lite Records, following a style shift towards disco music. None of the founding members was credited on their last album “Burn Me Up”. Disbanded in late 1970s.